Download "PH.D. 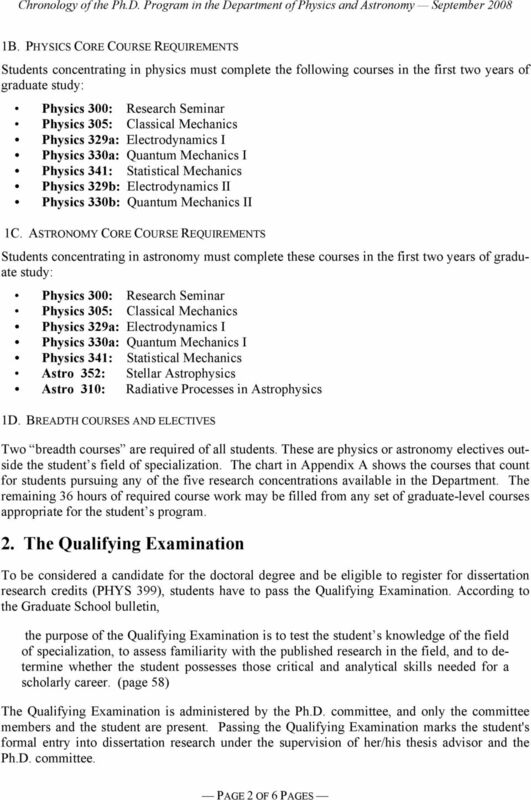 REQUIREMENTS IN THE DEPARTMENT OF PHYSICS AND ASTRONOMY. 1. 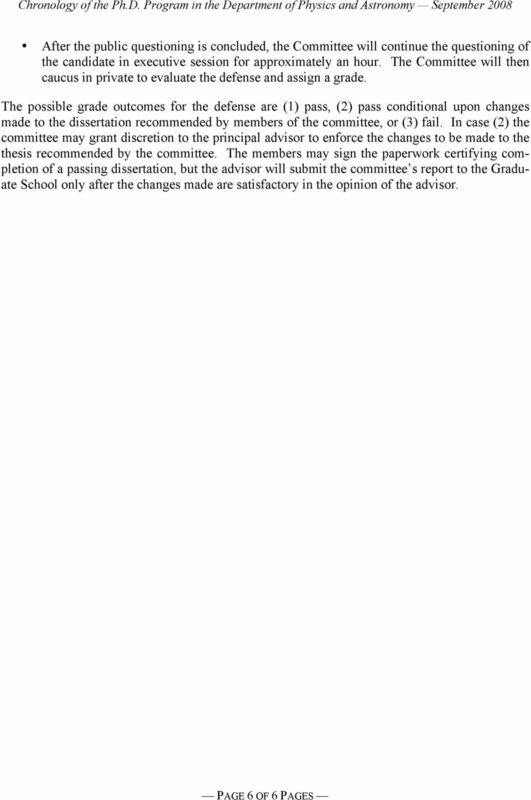 Course Requirements"
1 PH.D. 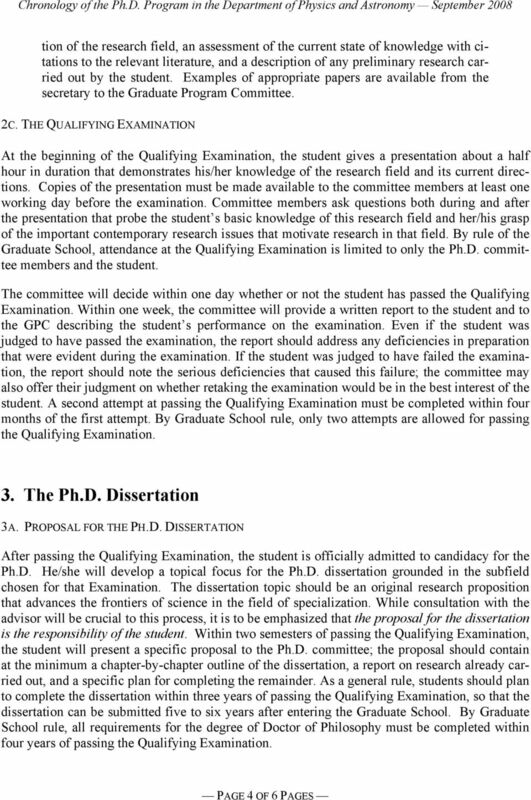 REQUIREMENTS IN THE DEPARTMENT OF PHYSICS AND ASTRONOMY Completion of the Ph.D. requires (1) completion of 72 semester hours of coursework with satisfactory grades in each course and an overall average of B (3.00) or higher; (2) successfully passing a Qualifying Examination administered by a committee of the Graduate Faculty; and (3) writing and defending the dissertation. 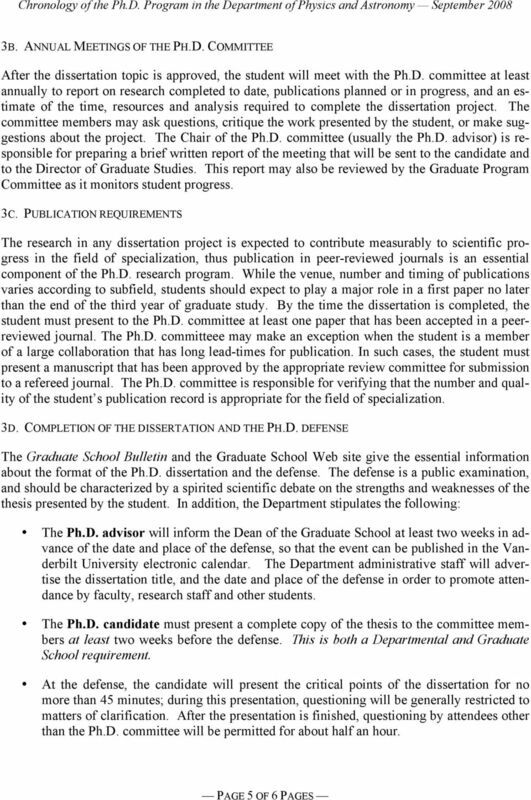 The dissertation is to be an original, publishable contribution to the scientific literature in the student s field of specialization, and must be defended in a public forum. The following paragraphs provide details. 1. Course Requirements The Graduate School requires a total of 72 hours of course credits prior to receiving the Ph.D. 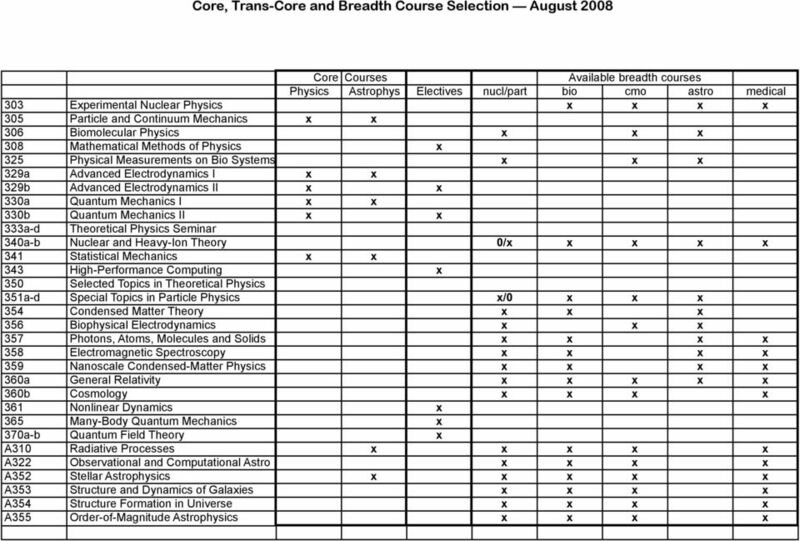 The Department of Physics and Astronomy requires 36 hours of formal course work 1 including: Seven core courses covering the foundations of physics or astronomy, listed below, totaling 19 credit hours; Two graduate-level courses totaling 6 or more hours in the Department but outside the student s field of specialization ( breadth courses ); and Additional graduate-level courses in any subject relevant to the student s overall program of graduate study and research to make a total of 36 semester-hours. Core courses provide the foundation for deeper connections to elective course-work and research. Students in the Vanderbilt Physics and Astronomy Ph.D. program may choose to concentrate in either physics or astronomy; the core requirements for each concentration are listed below. To fulfill the core-course requirement, the student must pass the seven core courses with a grade-point average of B (3.00) or higher, and may not receive a grade of B- in more than one of those seven courses. A student who has an overall B average but receives a B- or lower grade in two courses must retake one of those two courses and earn a grade of B or higher to replace that one B- or lower grade. 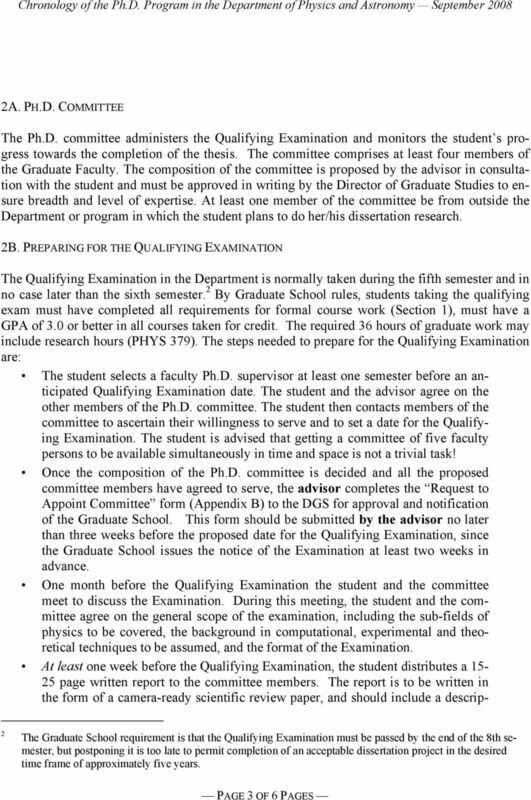 Students who fail to satisfy the core course requirement because of low grades may be dropped from the program at the discretion of the Graduate Program Committee. 1A. TRANSFER CREDIT Students who have taken graduate courses elsewhere may petition the Graduate Program Committee to have those courses evaluated for transfer credit to avoid unnecessary duplication and speed the student s entry into research. 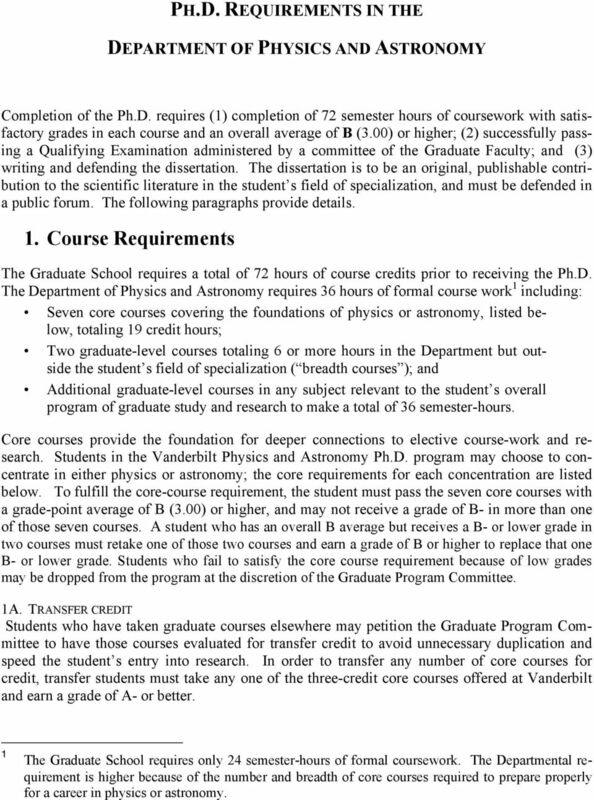 In order to transfer any number of core courses for credit, transfer students must take any one of the three-credit core courses offered at Vanderbilt and earn a grade of A- or better. 1 The Graduate School requires only 24 semester-hours of formal coursework. The Departmental requirement is higher because of the number and breadth of core courses required to prepare properly for a career in physics or astronomy.